The ratio of 3G network mobile internet user is increasing in China, but its ratio was still less than 20% in the third quarter. 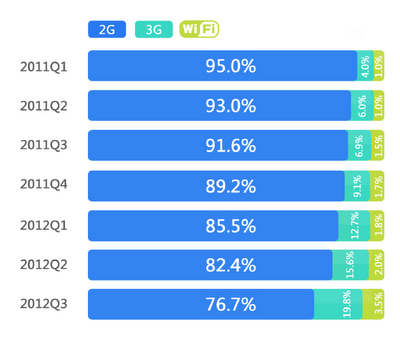 Baidu released "Chinese mobile internet trend report in the third quarter", but this report said that the ratio of 3G network mobile internet user is increasing in China, but its ratio was still 19.8% in the third quarter. 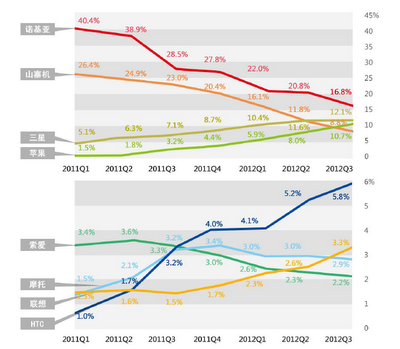 Next graph is a usage by each career. 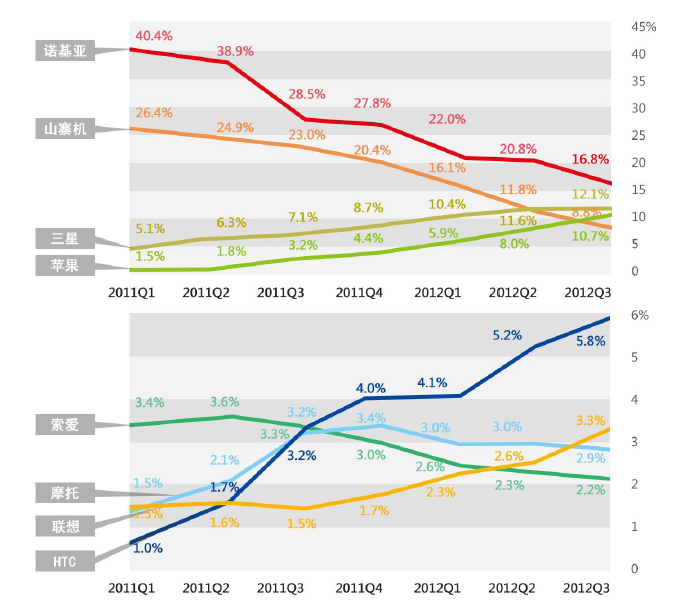 The market share of China Mobile is gradually decreasing, on the other hand China Telecom and China Unicom is gradually increasing their market share. 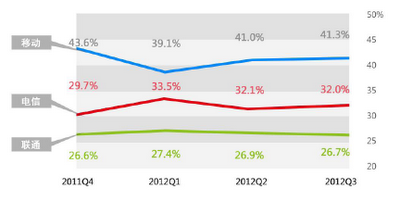 And in case of focusing iPhone and Android devices, these gap is more narrow as follows. 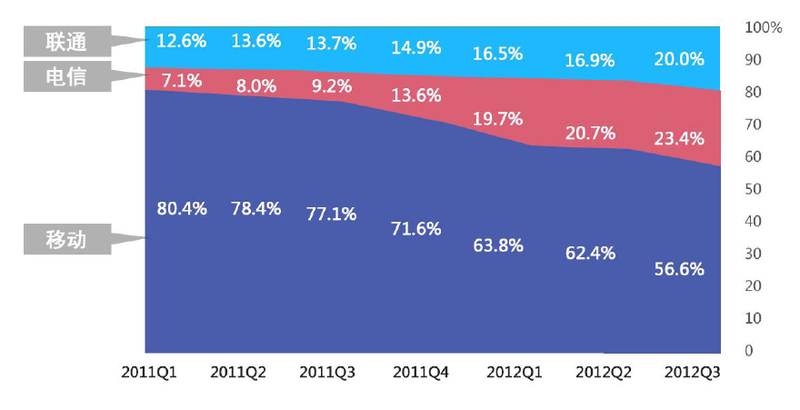 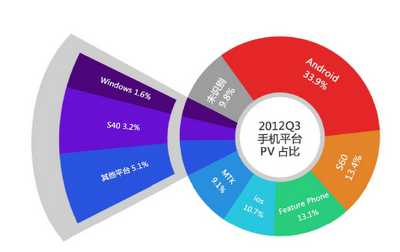 And next graph is the market share by each mobile operating system. 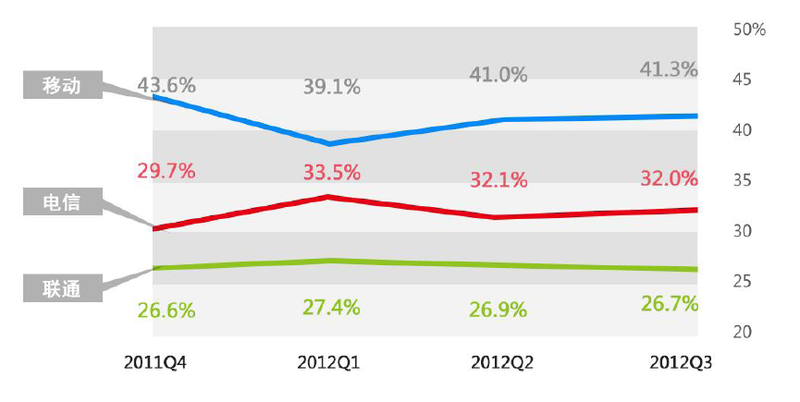 As I reported before, Android devices have 90.1% market share in Chinese smartphone market, but it also can be said that Android have 33.9% market share in mobile internet devices. 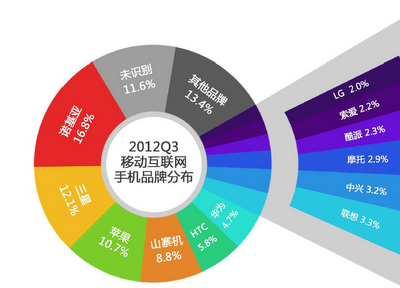 Next graph is a market share by each mobile device maker. Nokia and Shanzhai is still decreasing their market share, but on the other hand Samsung, Apple, HTC and Lenovo is increasing their market share.